Go Hydrology! : United States of Florida? Did Columbus (c. 1451 – 1506) discover Florida? My understanding is that Christopher Columbus discovered a couple of the Caribbean Islands, starting with the Bahamas, and then sailed down to Cuba and Hispaniola. Of course there were already people living on his new found lands, which he originally mistook for India, thus bequeathing the natives with a misnomer that still sticks: Indians. But no, he never stepped foot in Florida. Why isn’t the continent called “New India” instead? like India on this map? In steps Amerigo Vespucci (c. 1454 – 1512). when he dubbed the land "La Floride." Newfoundland, of course, was discovered by “Lucky Leif” Ericson (c. 970 – c. 1020.) He outflanked Columbus by 500 years with the Viking preferred arctic trade routes where he set up a camp in Vinland to grow grapes. 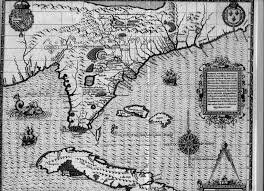 Florida was conspicuously devoid of oranges when Juan Ponce De Leon (c. 1474 – 1521) first set eyes on it in 1512. 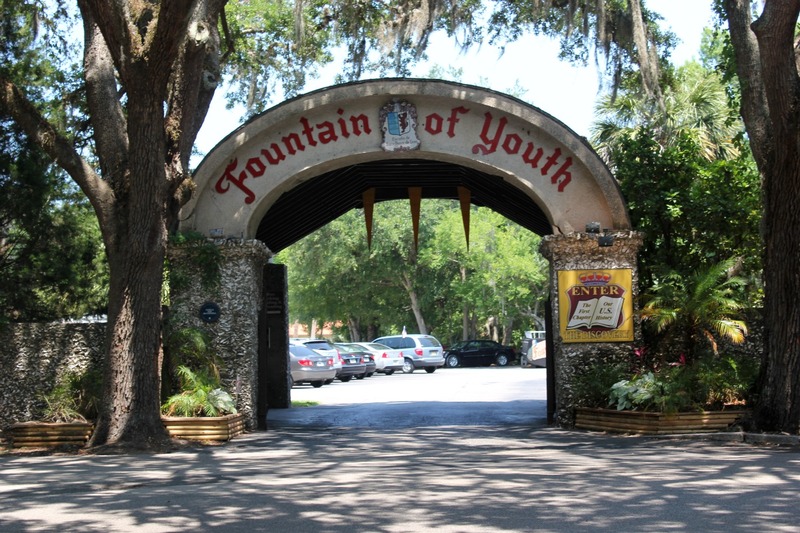 His interests lay not in citrus, but water – the “Fountain of Youth” to be exact. He never found it, but he did name the great peninsula on which we stand, united, as Floridians. Or in other words, all of North America. The United States of Florida!